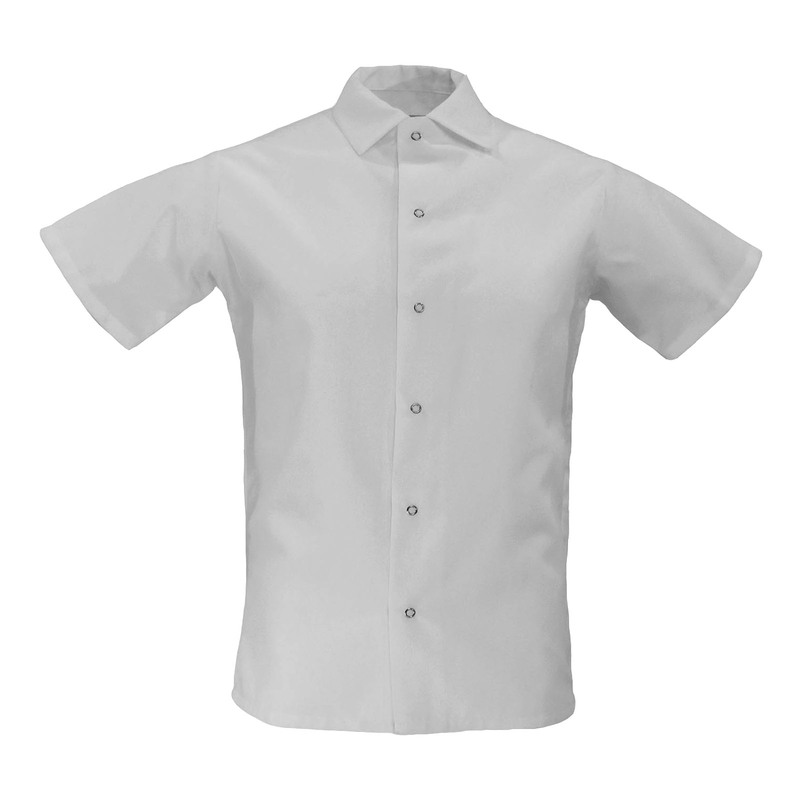 This classic white Cook Shirt is designed for comfort and performance. It boasts wash and wear fabric and is made with our MVS yarn for optimal durability. It features six durable gripper snaps and a stylish design.